The nearest gay B&B to the train station. 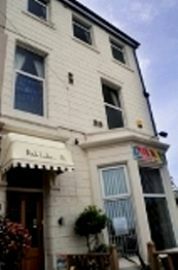 Pride lodge is in the Gay Centre of Blackpool. 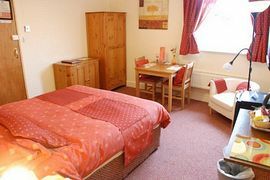 Ideal for guests who want to be near the vibrant gay scene. There are nine gay venues within 200 yards of our door, including the world famous Funny Girls Showbar, so it's easy and quick to get out and home. There is no need for taxi rides! Main attractions like the tower, town centre and promenade are all within a few minutes walk away. Fully re-furbished and super clean. Our large, heated en-suite rooms all have - King size double beds, TV with DVD, Internet access,iPod Dock/radio alarm, drinks tray, ironing facilities, hairdryer, fridge and a safe. We offer room only, with optional breakfast and evening snacks / meals which are both inexpensive and served in your bedroom, as each spacious room has its own dining area for your added privacy and comfort. We even provide robes and slippers for added comfort. Each guest is given their own key for 24 hour access, ideal for the late nights or early morning returns from the gay bars and clubs. 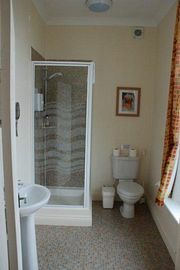 Our aim is to provide the very best value possible, offering really high quality accommodation at a sensible tariff. 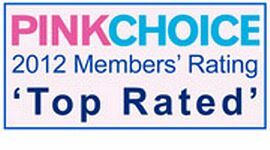 Check out our website on the link from here for further information and to view all of our rooms and facilities, including guest reviews. Why not take advantage of our FREE NIGHTS when staying four nights or more. For more information about availability or to find out more about Gay Blackpool and what's on please see the contact details below. Pride Lodge is proud to be offering: comfortable, affordable, quality accommodation. A pleasure for the break you need. 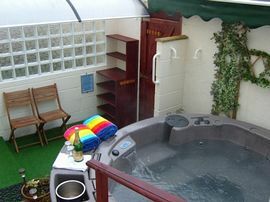 New - Free for guest use - Our Luxury garden SPA. Optional breakfast, meals and snacks from £1.50. FREE admission to the Funny Girls Show for all guests. Book 4 nights and pay for 3 - get one free. Book 7 nights and pay for 5 - get two free. Free secure parking when booking 7 nights or more. Open all spring, summer and most of the winter. Check out guest comments on our web page Feedback, to see what our guests have to say about their stay at Pride Lodge. Talbot Road bus station just 100 yards away. By car follow direction for - Blackpool North Rail station. to find us opposite the station.